Our first order of business was to make sure that all of these treats met the strict standards of having the USDA Certified Organic seal of approval on them. What does this mean for your pup? Well, it means that the treat your pooch is ingesting has significantly less pesticides and herbicides than the non-organic counterparts. All meat will have no antibiotics or steroids and all ingredients are non GMO (not genetically modified to withstand those extra pesticides sprayed on the crops). Taste is really all your puppy cares about anyway…right?! That’s why it was one of our biggest sticking points too. All of these cookies have been pooch-palette approved. Yum! Remember those treats that were being sold at some major American shopping meccas that were made in China and ended up killing some poor pups before being recalled? We do…and that’s why we made sure to keep up on the history of these treats to see if there’s been any shady activity. They all passed with flying colors! The last factor was all about “bang for your buck.” These treats all have the perfect mix of quality and price all mixed into one delicious package. 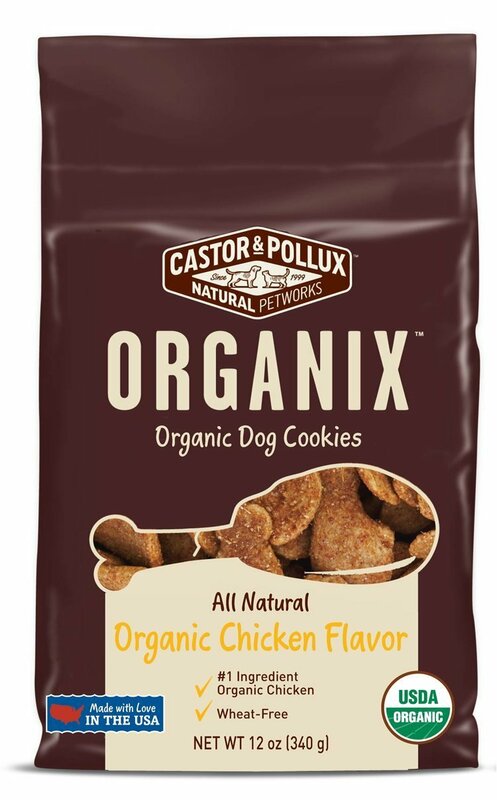 Organic Chicken Pet Treats take the top spot on our list for the best organic dog treats on the market. Made with over 90% meat, your pup will absolutely love these cookies. We’ve yet to find a dog that doesn’t like ’em – plus they’re great for training. 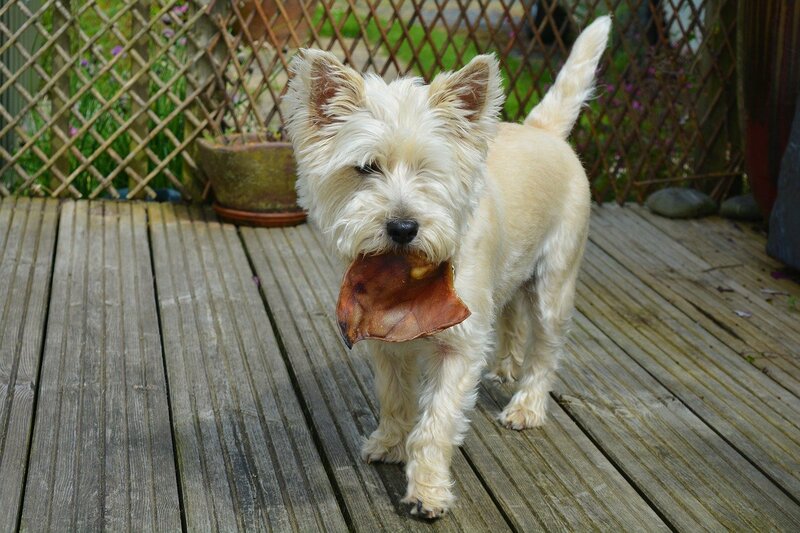 These tasty morsels don’t last long once your pooch gets a whiff of them! These little round treats are perfect for all dogs from LARGE to small! 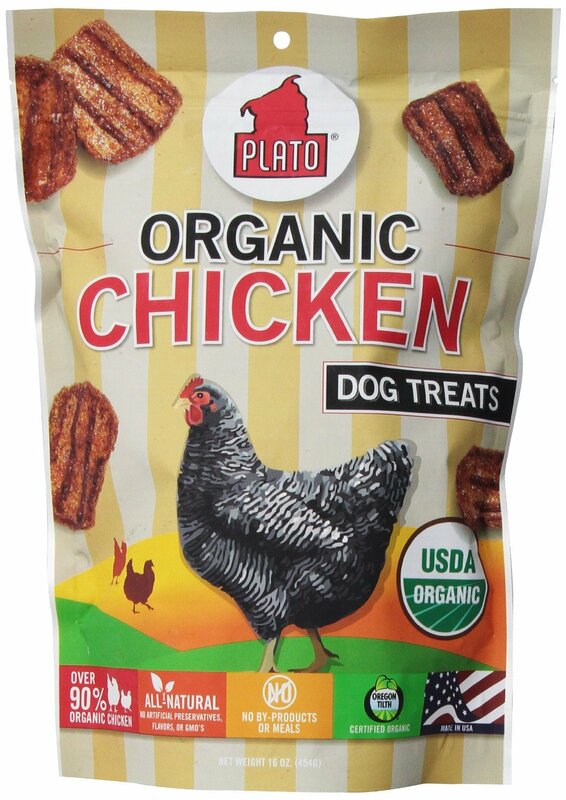 Like the Plato treats, these bites are packed with organic chicken along with absolutely no corn , wheat, or soy. “Sit, Stay, Down…” use these treats to help your pup learn his/her commands. Chicken and Sweet Potato…that sounds like something I want for dinner! 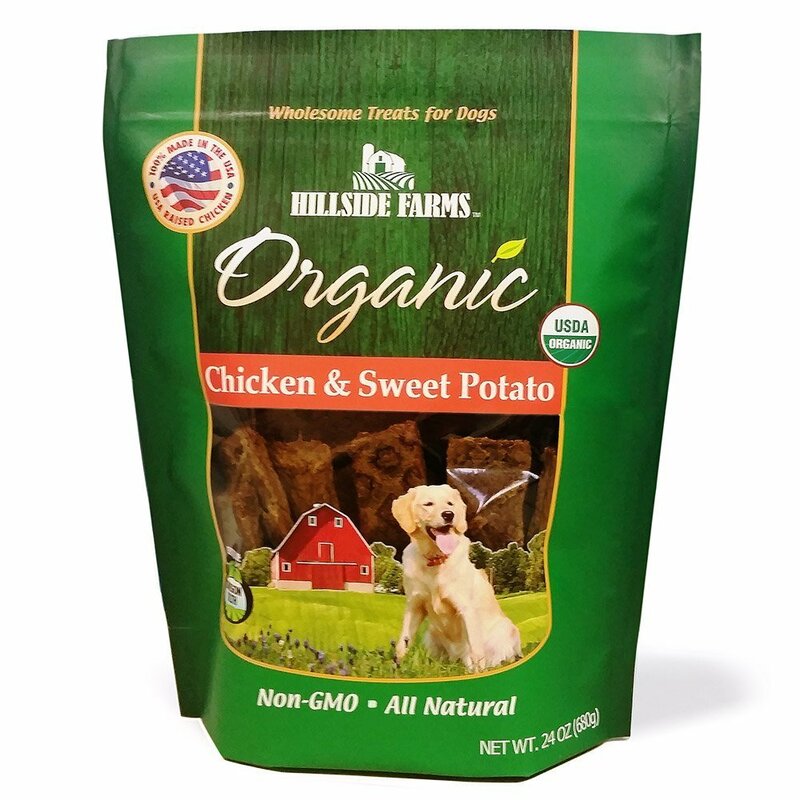 I know my pups love both of those things which is why these tasty organic treats make it into our top 5 list. If your judging your treats by the look of the packaging, these would have to be near the top with that majestic golden retriever and the cozy farm in the background. Newman’s own comes in at number four for us. 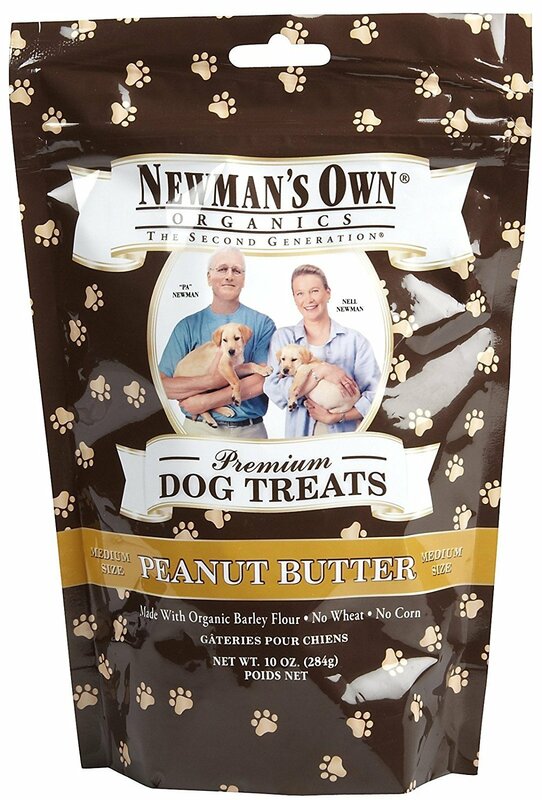 Besides being delightfully delicious for your pooch, listen to this: “[Newman’s Own] pay[s] all profits and royalties from our food products to Newman’s Own Foundation, which supports charitable causes around the world.” It’s hard not to support these cookies knowing that information. 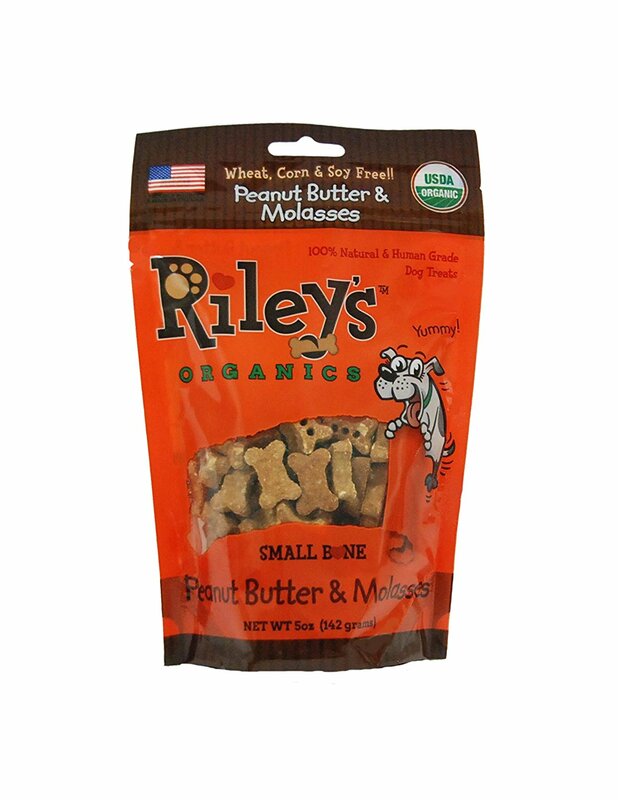 Riley’s Organics claims the final spot in our quest for the top 5 dog cookies in 2016. Rather than having your pup licking peanut butter from a spoon for minutes on end, give him/her a couple of these peanut butter and molasses cookies from Riley’s. Lets be honest…your lovable Labradoodle will devour any of these snacks with pleasure. Our pooches were happy with all 5 of our decisions!